In 2011 the owner of On His Own, Graham Wylie, decided to transfer the horse, along with some others, to Willie Mullins‘ yard. 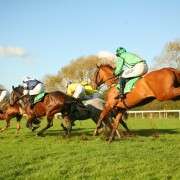 The gelding's first race out for his new trainer in December wasn't much to write home about, but he came back quickly about a month later to claim the Goffs Thyestes Handicap Chase at Gowran Park by a strong margin. With a lead in hand, five fences from the finish, the then eight year old bay gelding continued to pull away from his opponents for an eventual winning margin of 13 lengths. Mullins intimated after the race that the 2012 National was likely to be on the cards for On His Own. 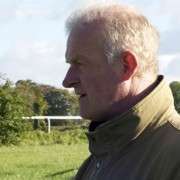 The trainer said that they had forgotten about him a bit after Leopardstown, but that he had showed up strongly for the Thyestes and would get an entry. On His Own began his short career in late 2009 with a win at Leopardstown, racing for Oliver McKiernan's yard before being switched to Howard Johnson's barn before his first 2010 start. 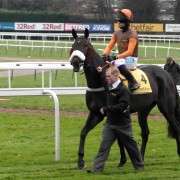 He came back to race once in 2010 resulting in an 18th place out of 24 at Cheltenham. He raced six times in 2011, five of them for Johnson and one at the end of the year for Mullins. He did win two races that year, one a 3m at Musselburgh in January and the other a 3m 1f at Ayr in April. 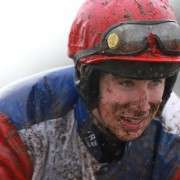 He won his second race out for Mullins in January of 2012 at Gowran Park. 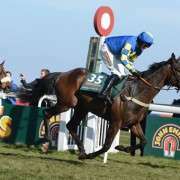 His 2012 National effort didn't go as well as planned considering he had gone off at a short 14/1 with Paul Townend on board. 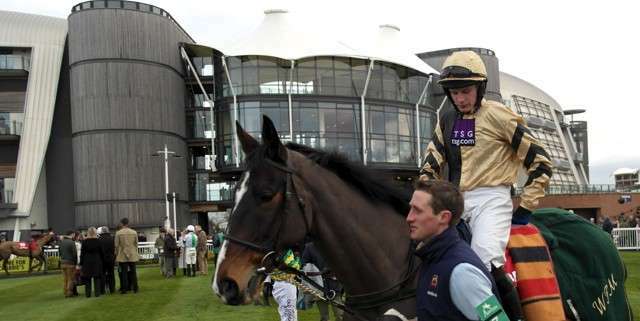 He fell at the 22nd, at Bechers Brook and had only had one race between the 2012 and the 2013 National's, and that was in Navan on February 19th 2013 which he won in fine style. 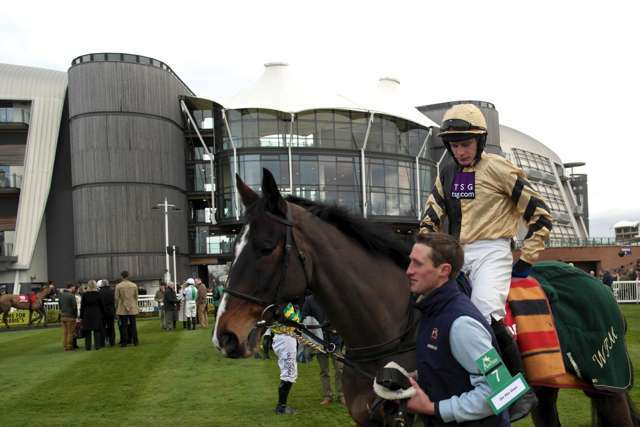 He was predominantly the Grand National favourite, particularly when it was announced that Ruby Walsh would ride him but as the day drew closer he slipped into 2nd favourite, behind Seabass who was being paired with Walsh's sister Katie. 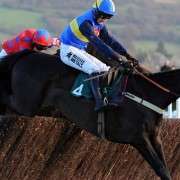 Despite the hype and very short odds of 8/1, he fell at Valentine's the second time around and though he looked set to try his luck in the 2014 Grand National following sterling wins in the Thyestes Chase and the BobbyJo Chase as well as finishing second in the 2014 Cheltenham Gold Cup, he was withdrawn on March 18th at the second scratchings stage.